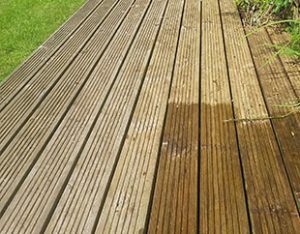 AdHoc Handyman offer Garden Maintenance and Garden Clearence Services in and around the city of York. 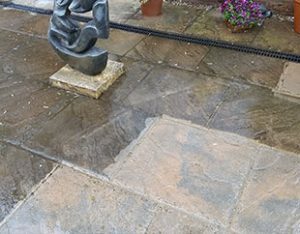 We can clear any garden of stones, paving slabs, rubble, grass, trees and shrubs and once cleared we can also provide Garden Maintenance Services to keep it looking great. 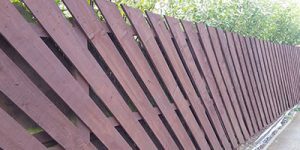 If you require patio or decking to brighten up your garden or even to make better use of your garden space – please visit our Garden Decking/Patio Page for more information. Contact us today for a free no obligation quote – all our quotes include full clear up and removal of materials / waste. We provide a lawn care and garden maintenance service to many customers in the York area. The frequency of our visits are entirely your choice and bookable in 1 hour blocks. Should you need a bit more one week then we can accommodate this – its our service to you. 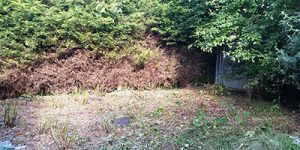 If your garden needs a bit more than a mow or a trim then we can provide a garden clearance service. 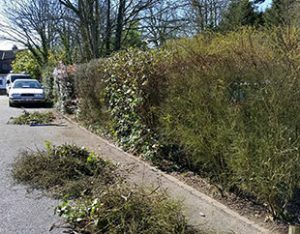 Removing brambles, cutting shrubs and small trees, trimming and shredding. We take all the waste away and leave you with a blank canvass to redevelop as you wish. Our service ranges from a clearance to complete landscaping service. We can provide garden designs and ideas which meet your timescales and budget. See our landscaping page for more information. A sample of the garden maintenance projects we have completed. To see more work, please visit our latest projects pages.